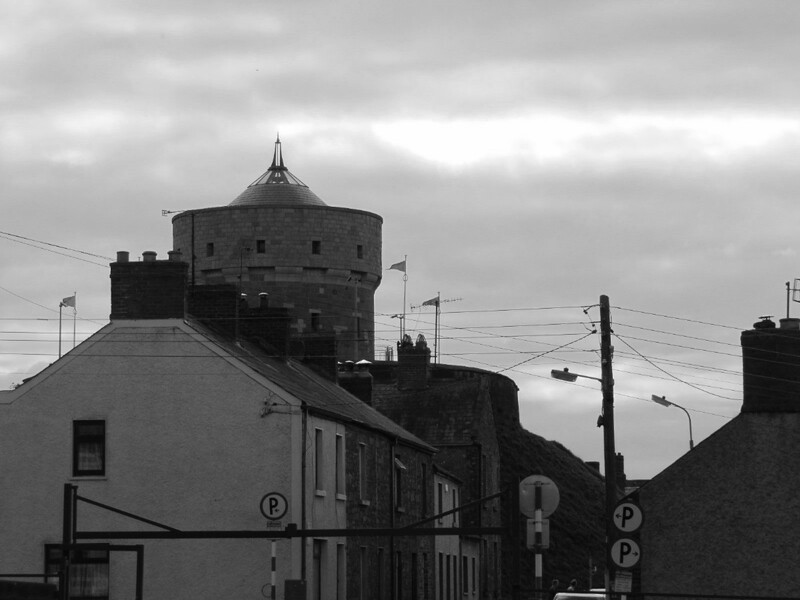 Known colloquially as 'The Cup and Saucer' Millmount dominates the skyline of Drogheda and its strategic position has led to almost continuous use since the twelfth century as each generation reinvented and rebuilt the mound to their own specific requirements. 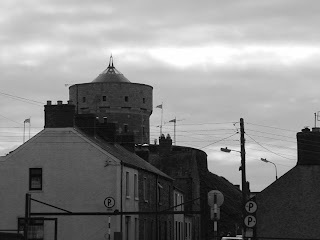 It's romantic history plots significant points in Irish history from the Anglo-Norman invasion when it was a motte- and-bailey attributed to Hugh De Lacy; in medieval Drogheda it was the site of the newest technologies - a windmill. In 1649 as Cromwell led siege to Drogheda, the stone fortifications on the mount were an important part of the towns (albeit unsuccessful) defence strategy. The British also appreciated the strategic importance of Millmount and established a military barracks there, and the present day so-called Martello Tower dates to this time. During the Irish Civil War, the tower was heavily shelled and was beautifully restored and opened to the public by the Drogheda Corporation. The Tower is open to the public and the other buildings on the site include a museum, artists studios and The Tower restaurant (hopefully next week I shall be trying out the hospitality of 'The Tower' and shall be able to tell you all about it!). The significance of the mound is strongly reflected in folkloric and the oral histories of Ireland, said to be the burial place of the legendary Amhairgin inventor of music and song. It was said to be a fairy-hill, a handy place to chase the fairy changeling found like a cuckoo in your baby's cot. Some of the older generation of Drogheda remember playing in tunnels underneath Millmount. Local historian Brendan Matthews has written a lovely book detailing all the history of the complex.